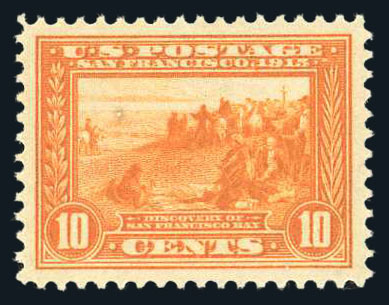 U.S.; General Issues, 1913, 10¢ Panama-Pacific, Perf 12, Orange, #400A, n.h., lovely example; small inclusion on face not mentioned on cert, Graded 98 Superb appearance, 2008 P.S.E. cert. SMQ #400A $4,000, 17 known same grade with two higher .